Home Bitcoin Did the crypto bubble burst? In the last month the cryptocurrency market has lost more than US$ 180 billion due to a lot of negative news for the ecosystem. At the time of writing, Bitcoin is approaching the key support of the US$7,000, which has been acting as a brake on the latest downturns. The key support for the remainder of 2018 is US$ 6,200, in case of loss it can quickly go down to US$ 5,000. The reason for the fall of Bitcoin today is the closure of 2 exchanges in Japan, Mr. Exchange and Tokyo GateWay. Ethereum is another of the digital assets that comes in free fall, with a 50% drop so far in 2018. At this very moment he’s giving up the $400. The third cryptocurrency in the world, Ripple, can already be bought for just US$ 0.50, far from the US$ 3.80 he scored earlier this year. The list of crashes goes on and on…. Just look at the market capitalization graph of all the Tokens listed in CoinMarketCap. On January 7 of this year, it scored its record at US$ 830 billion, and now it barely reaches US$ 270 billion. More and more pessimistic voices are saying that the cryptomonated bubble has burst, recommending that everyone sell their cryptocurrency holdings to anything. Personally I think the market is being punished mainly by two factors: Adverse news coming out every day (regulations, bans, etc) and overbought overbought in most Tokens. This year I have had the opportunity to attend Blockchain and crypto events in different parts of the world, which gave me the opportunity to talk to different investors in this ecosystem. Most agree that we are at a time when we have to wait…. The big question is…. What’s to look forward to? An easy answer would be to say good news…. But I think it’s more than that, we have to wait for the market to start to settle in, and just start to decide which projects will survive into the future, or at least into 2019. Investors are becoming increasingly aware of this world of digital assets and are not turning their heads on any project, but are looking at its feasibility and possible future profitability. Another thing I have noticed is that many people take the money out of Blue Chips and invest it in promising new projects (ICOs). I believe that “purging” in the ecosystem has begun, and it is time to start analyzing which projects are worth investing in in the future. My favorites are still: Bitcoin, Ethereum, Ripple, Bitcoin Cash, Cardano, Stellar and NEO. Others that I follow closely are: TRON, IOTA and Binance. In the latter I am waiting for indications that they may be viable in the medium and long term. 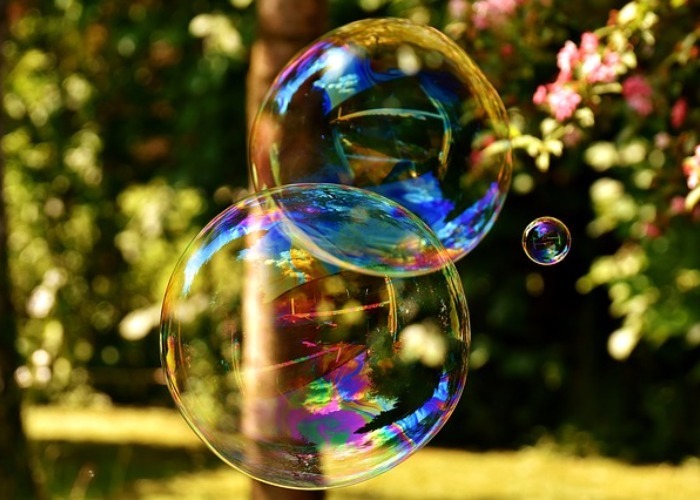 Finally, I do not believe that we are in a bubble, let alone that it has burst, but rather, as I said before, a process of decanting projects, in which the market itself will decide which ones will go ahead and which ones will not. Like I always say the last word, but the market always has it. Previous articleMake room for the Ford token!